04/19/2010 - Early ice out should make for good spring action! The ice was off the chain on 4/2/10. This is the earliest ice out I know of on the chain. 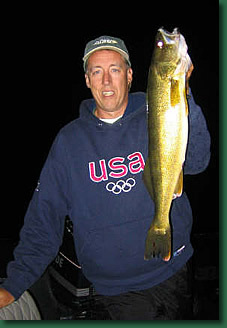 Walleyes have finished spawning and the bite on opening weekend should be good. Water temps could be nearing 60 degrees by early May! As always in the spring, the best fishing is late afternoon and evening. This is when water temps reach thier peak for the day. Fish are more active during this time. Warm sunny days produce some of the best evening fishing.